Lydia Andreyevna Krasilnikova is a graduate student in Harvard’s department of Organismic and Evolutionary Biology. She studies pathogen identification through metagenomic sequencing. She is broadly interested in disease surveillance, human evolution and migration, and personal genomics. Lydia graduated with an M.Eng. from MIT, where she majored in computer science and molecular biology and math and minored in writing. 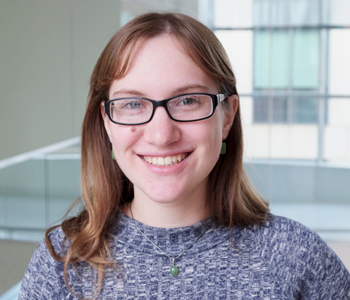 Outside of research, Lydia works on visual and written communication about math, science, and scientist culture. She has written for MIT Admissions and MIT Technology Review and has illustrated MIT outreach publications. You can follow her projects at sciencecow.mit.edu.